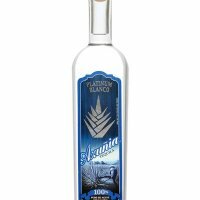 Marks Diageo's latest step in reclaiming leadership position in tequila in North America Joint venture follows successful strategic alliance to build Cîroc ultra-premium vodka brand. 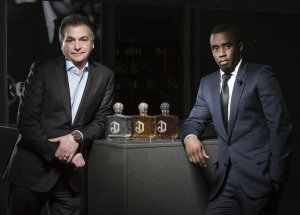 Diageo, the world's leading premium drinks business, and Sean “Diddy” Combs today announce the creation of a new joint venture, which has acquired prestige tequila brand DeLeón. The joint venture, a 50/50 global partnership between Diageo and Combs Wine & Spirits, builds on the separate strategic alliance formed by Diageo and Combs Enterprises to develop and grow the Cîroc ultra-premium vodka brand. Since the alliance began in 2007, Cîroc has grown from just 50,000 cases a year into a nearly 2 million case brand. The joint venture acquisition of DeLeón will allow the brand to benefit from Diageo's strong distribution network, supply chain, and marketing capability and Sean Combs' access to influencers and proven track record of marketing luxury lifestyle brands. DeLeón is a 100% blue weber agave boutique tequila brand with a loyal following in Hollywood and the U.S. music industry. The brand has strong appeal with status-conscious consumers who choose spirit brands as part of their luxury lifestyle. The acquisition of DeLeón will accelerate Diageo's share of ultra-premium and above ($40+) tequila, which is the second-fastest growing segment of the tequila category in the U.S. DeLeón has five variants with suggested retail prices ranging from $120.00 to over $1,000.00. The brand has been distributed in 18 U.S. states and Washington, D.C.
“Celebration is a cornerstone of all my businesses, and this joint venture is a natural extension of that portfolio,” said Sean Combs, Chairman, Combs Wine & Spirits. “DeLeón is an outstanding brand that appeals to those who love exceptional tequila in a distinctive bottle. Together with Diageo, we will take DeLeón to new heights."